A sophisticated delivery system utilizing a water soluble silicon gel, allowing the aqueous form of Vitamin C (Ascorbic Acid) to be slowly released throughout the day. 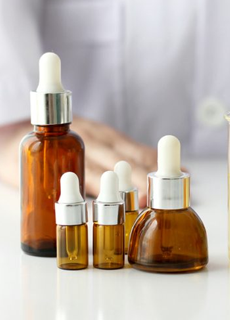 The lipid soluble form of Vitamin C (Tetrahexyldecyl Ascorbate) diffuses directly into the skin for antioxidant defense. 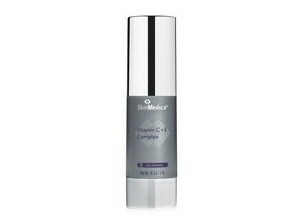 This rejuvenating complex formulated with 15% Vitamin C, may help to reduce wrinkles, fine lines and sun spots while fighting the future damaging effects of the sun. Improves and helps prevent sun damage. 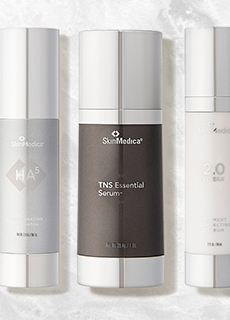 Improves skin tone, texture and firmness. 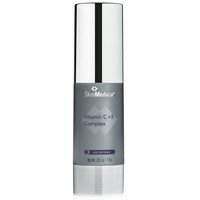 You're reviewing: SkinMedica Vitamin C Plus E Complex - 1oz.